Dr. Albenny Price – 100 Black Men of America, Inc.
Albenny Price serves as the Program Administrator, Adult Education Center for Atlanta Public Schools. He leads the day-to-day operations of adult education programs for students, instructors, and supporting personnel. Albenny joined the staff of the Atlanta Public Schools in May, 1999 as a Literacy Teacher. Albenny is a licensed chiropractor, and in addition to his work with the Atlanta Public Schools, he operates a private practice with the South Atlanta Area Primary Care. He has been in practice since 1986. Albenny is well regarded in the chiropractic field and serves on the National Board of Chiropractic Examiners assessing the competence of chiropractic license candidates. Albenny earned a Bachelor of Science degree in biology from Morehouse College and a Doctor of Chiropractic degree from Life Chiropractic College. A continuous learner, he completed a specialist program for Educational Leadership in December, 2015 at Clark Atlanta University. As a member of the Atlanta Chapter of the 100 Black Men of America, Albenny currently serves as chair of Chapter Development Committee and a member of the Nominating Committee for the national organization. 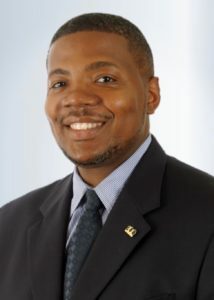 He is a member of the Board of Directors and co-chair of Programs for the Atlanta Chapter. Albenny is also a proud member of Alpha Phi Alpha Fraternity, Eta Lambda Chapter. Albenny is a native of Jackson, Mississippi. He is married to Helen Smith Price, and they have an adult son, Alexander.